Luke Tendler hits a three-run home run as Portland beats Trenton 5-2. Luke Tendler swatted a two-out, three-run walk-off home run to give the Portland Sea Dogs a 5-2 win over the Trenton Thunder on Tuesday night at Hadlock Field. Tate Matheny had tied the game with an RBI single before Tendler came to bat. The excitement followed seven scoreless innings. Both teams scored in the eighth. 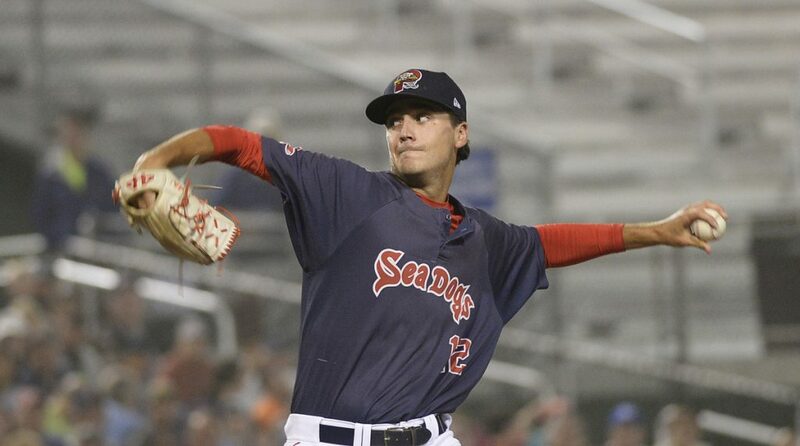 Portland tallied on back-to-back doubles by Michael Chavis and Bobby Dalbec with two outs. 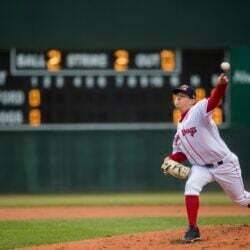 Portland left-hander Kyle Hart pitched seven scoreless innings, allowing six hits and one intentional walk. He struck out four and lowered his ERA to 3.55. Hart gave up only two singles and no walks through the first five innings – but also picked off two runners. Hart yielded two singles in the sixth inning, and escaped a bases-loaded, one-out jam in the seventh. It was Hart’s second impressive start in the past two weeks. He pitched seven scoreless innings on Aug. 2, allowing two hits. He was named Eastern League Pitcher of the Week for that performance. Portland faced the reigning Pitcher of the Week, Trenton lefty Ryan Bollinger. He matched Hart with seven shutout innings (seven hits, no walks and five strikeouts). Bollinger’s toughest inning was the third when Danny Mars and Jeremy Rivera started it off with singles. After a fielder’s choice, the Sea Dogs had runners on first and third with one out, with Chavis and Dalbec due up. Chavis popped out and Dalbec struck out. In Hart’s last inning, the seventh, Gosuke Katoh’s doubled to put runners on second and third with one out. 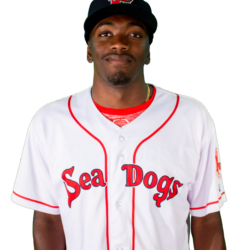 Wendell Rijo (a former Sea Dogs infielder) was intentionally walked. Hart then induced a line out and a fielder’s choice. Adam Lau relieved in the eighth. Bruce Caldwell doubled and, with two outs, Brandon Wagner walked. Trey Amburgey followed with a groundball single to left, scoring Caldwell. David Sosebee relieved Bollinger and blew the save, allowing two doubles down the left-field line, by Chavis and Dalbec. Portland’s Jordan Weems (3-3), with his 97 mph fastball, pitched a scoreless ninth. Sosebee stayed in for the ninth. Austin Rei doubled with one out and left for pinch-runner Jhon Nunez. On a grounder to short, Nunez was thrown out at third. Mars followed with a bloop single. Rivera flied out to left to end the inning. The 10th inning began with the automatic runner on second. Mandy Alvarez scored him with his double off Weems to left-center. Portland had its runner (Rivera) on second base for the 10th. Trenton reliever Matt Wivinis (0-1) began the inning by hitting Chad De Le Guerra. Chavis then smoked a scorching line drive that was caught in left-center. Wivinis struck out Dalbec but could not retire Matheny and Tendler. 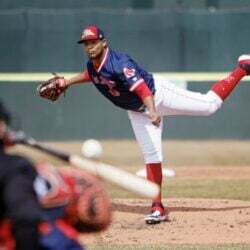 NOTES: The announced paid attendance was 5,574 … The game was delayed 88 minutes because of rain … In Triple-A Pawtucket, former Sea Dogs starter Mike Shawaryn pitched a seven-inning complete-game shutout in the second game of a doubleheader against Rochester. Shawaryn (2-0 with a 2.95 ERA) allowed two hits and one walk, striking out six.